The creation of Highland Golf and Country Club started in 1903. The club spent much of the early 1900’s growing and developing before coming together as the entity that it is recognized as now in September 1919. 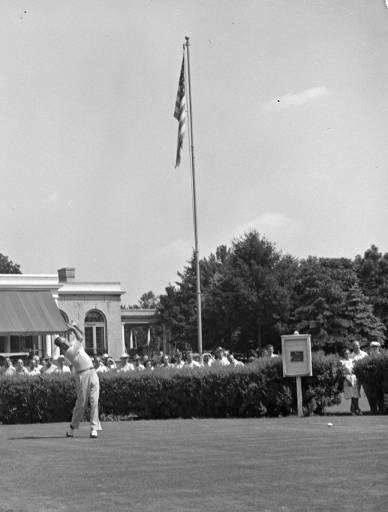 Highland was one of several country clubs opened in Indianapolis in the early part of the 20th century. These clubs (like Highland) constructed large clubhouses, some including dining rooms and dance pavilions where the wealthy could go to see their peers and be sure they would be seen by other members. Clubs hosted social and athletic events, bringing together members to create strong social bond and start traditions that are still active today. Highland is one of those country clubs that currently remains open. Indiana Division of Historic Preservation and Archaeology, “Highland Golf and Country Club,” Discover Indiana, accessed April 25, 2019, https://publichistory.iupui.edu/items/show/359.